Let's just take a king at random: King Arthur. It was he who was supposed to have, like so many politicians, taken exception to anything which detracted from his image. In this case, it was the legendary head of Bran the Blessed, buried on Tower Hill in London, the magical properties of which protected the nation from invasion. So that everybody could see that it was his efforts alone which held back the Saxons, he had Bran's head exhumed. I was reminded of that story, as I so often am, thinking about some of the Facebook carping about the Queen's 90th birthday last week. Because the monarchy has a secondary, somewhat mystical function, which is little discussed or understood: it keeps us safe from fascism and authoritarian mysticism. I consider myself of the Left, but I can't say I find much pleasure in my fellow lefties' complaints. The monarchy provides us with colour, extravagance, fun and a sense of mystical importance. There will be puritans among us who prefer life without maypoles, theatres and monarchs, but I'm not one of them. 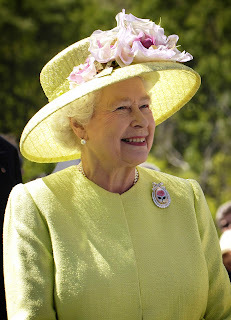 I find the dour disapproval of the monarchy in principle very hard to understand. I know there is the old Charter 88 idea that monarchs imbue us with the habit of deference. In fact, I have a feeling the opposite is true. I feel more equal with David Cameron as a fellow subject than I would if he was president. I feel more equal with the inhabitants of Buckingham Palace than I would if they were sponsored by McDonalds after an election campaign backed by Murdoch. We can be citizens as well as subjects. There is certainly a problem about prime ministers borrowing the powers of the monarch. That is a separate issue altogether, and doing away with the monarchy won't solve it. But let's get back to Bran the Blessed (as distinct from Brian Blessed, a very different personage). You can't help noticing that nearly all the former imperial powers of Europe which got rid of their monarchies became fascist states - Germany, Italy, Spain and many of those in central Europe too. The exception is France, and I'm not absolutely sure that is an exception, but is certainly complicated by having two rival royal and imperial versions. Why is this? Because former empires are subject to some fiercely nostalgic, not to say atavistic, undercurrents. There are dangerous, sometimes militaristic, yearnings for former greatness which attract dangerous and unpleasant people. But monarchies dissipate this energy safely. People wave flags instead. They owe allegiance to the living monarch, not to imagined past glories. Monarchies inoculate former empires against authoritarianism. Of course, there are some on the puritanical Left who want to protect the nation from fascism by their own campaigning power alone. I'd prefer not to take the risk. I've never forgotten my childhood trip to the cinema in 1967 to see the Disney Jungle Book film for the first time. It was enormously fun, with even a cameo role for the Beatles - which they refused to take part in - as Liverpudlian vultures. But there was also something, I remember, which I couldn't put my finger on, which also unnerved me. I'm not sure what that was, but suspect it is the basic fear which the film and the book tap into, of being a child in a place you don't quite belong. There is a new Disney version of the film out this week. Another remake is on its way. Something speaks to us from deep within the Jungle Book these days, but what is it? Well, I had a clue about this earlier this year, when Sarah was on the train from Jaipur to Delhi and found herself talking to Swati Singh, an Indian critic and an expert and admirer of Rudyard Kipling. It struck me, hearing about their conversation, that we needed an Indian perspective on Kipling in these post-colonial times, so I asked Swati to write a short book for the Real Press and I'm very glad she not only said yes, but wrote it. 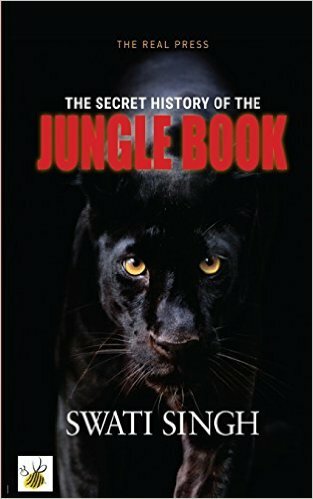 So The Secret History of the Jungle Book: How Mowgli can save the world is now published in time for the film's release. I hope it will be widely read. Because what she does is turn The Jungle Book upside down. And what she finds is a masterpiece of children's literature which means something very different to what we all thought it did - and finds also a message in it that is directly relevant to an agonised multi-cultural world, torn apart by terrorism and identity politics. Because there is a message of hope buried in The Jungle Book, by a man who - though he didn't say so - knew all about multiple cultural identities and the pain and possibilities they bring. You can buy The Secret History of the Jungle Book as a £1.99 ebook or as a paperback. Should we aspire to a Japanese economy? I apologise for the fortnight's silence, but I have been in Japan. Eating as much rice and sushi as I could. I don't really have an excuse but it was a fabulous trip and I learned a great deal, and perhaps the most important lesson I learned is about Japanese growth. Put simply, there isn't any but it doesn't appear to be a social disaster. I have been wondering, and I'm not the only one, whether Japan is not so much struggling economically - though it's economy has oscillated around the same size since their disastrous property bubble burst in the 1990s - but is actually some way ahead, pioneering a new kind of no-growth economy. Japan is a paradoxical place, as I wrote in my book Authenticity - it is particularly paradoxical when it comes to embracing the real. So on the other side of the equation, you would have to set out the fact that the current lack of growth worries the Japanese. It may or may not have something to do with the serious problems of rural depopulation - to find work, you kind of have to go to the cities. It is clear once you are there that their IT infrastructure is not really compatible with ours - it is hard to get money out or make phone calls - and this may be to do with under-investment. The economy carries huge debts. They also work too hard. There was a fuss while I was there about a government department that keeps secret the companies where employees have died from overwork. This isn't a problem we have really faced here. But unemployment is low, there is very little poverty to be seen - though there are homelessness problems, as you can see in some of the Tokyo parks. There isn't the appalling divisions of wealth that so scar London these days. They genuinely are all in it together. Yet if Japan represents the future, then we will need some effective system - not to stimulate demand - but to provide the money in circulation that can keep the economy going at the steady rate. Japan has not succeeded in discovering this yet, though their 'helicopter money' version of QE clearly has useful elements about it. Perhaps the key moment is not when Japan rejoins the nations who succeed in stimulating growth, but when they accept that they are the first post-growth economy and start seeking out ways of making it work for them. We will have to catch up. And I suspect the biggest change between a growth and a post-growth economy is going to be something about scale. Big investments, big projects will not be able to attract the big investment they need. Progress is going to be in smaller steps, and perhaps therefore more human ones. And I for one am pretty pleased about that.